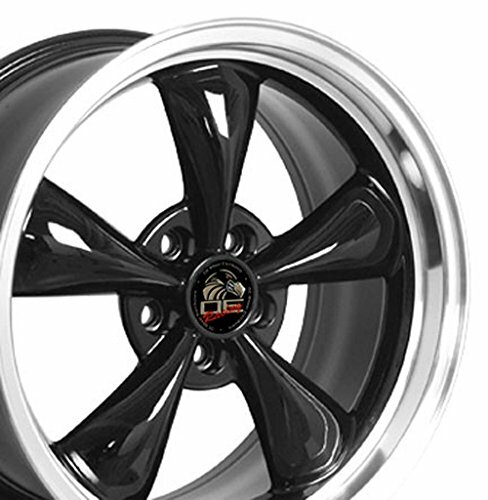 Black with a Fine Machined Lip: The finish on this wheel is achieved through several different phases. The finishing process includes a black powder coat foundation followed by two layers of clear coat, not a one stage enamel. This is the correct way to finish a wheel. The lip of the wheel is then precision machined using a coolant and ceramic bit. This method creates a fine machined aluminum appearance on the lip of the wheel. They have an absolutely beautiful finish with a superior sheen due to the additional layer of clear coat. The photograph does not depict the superior finish of the wheel.DOES NOT FIT vehicles equipped with upgraded or performance brakes such as Brembo.FITS: Ford® Mustang 1994 - 2004. Fitment guaranteed for stock equipped vehicles only. Set of four (4 caps). YOU CAN PUT THEM ON DIFFERENT RIMS BUT THE INSIDE DIAMETER MUST BE 2 3/8''. 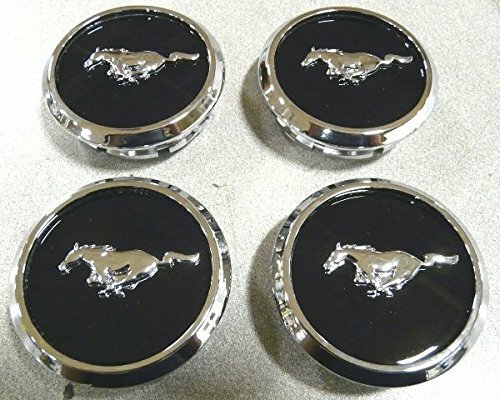 These caps are the perfect finishing touch Mustang Chrome Wheels. Set of four (4 caps). 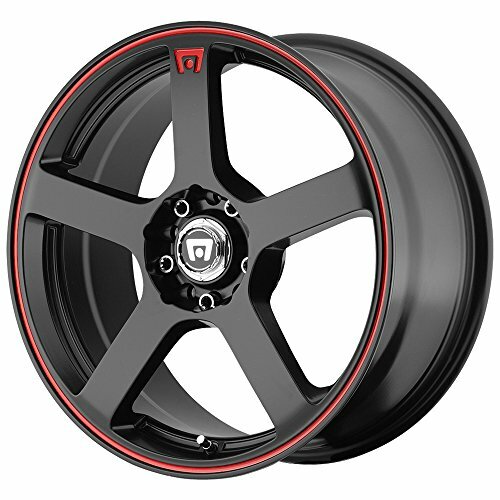 YOU CAN PUT THEM ON DIFFERENT RIMS BUT THE INSIDE DIAMETER MUST BE 2 1/8''. 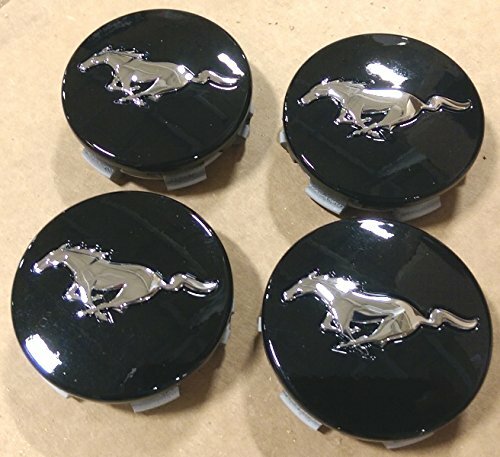 These caps are the perfect finishing touch Mustang black 10 spoke Wheels. 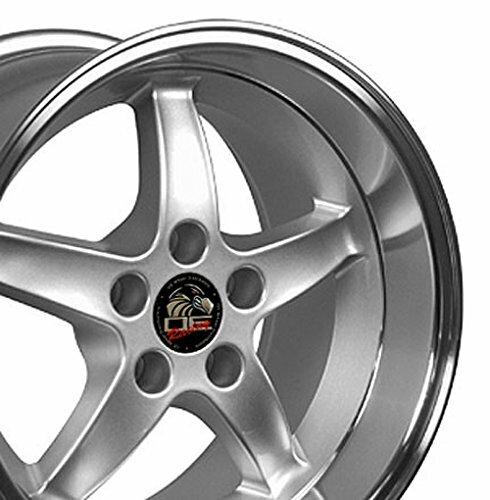 Silver with a Fine Machined Lip: The finish on this wheel is achieved through several different phases. The finishing process includes a silver powder coat foundation followed by two layers of clear coat, not a one stage enamel. This is the correct way to finish a wheel. The lip of the wheel is then precision machined using a coolant and ceramic bit. 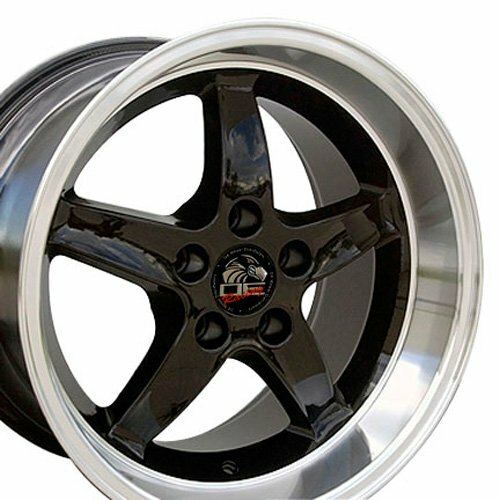 This method creates a fine machined aluminum appearance on the lip of the wheel. They have an absolutely beautiful finish with a superior sheen due to the additional layer of clear coat. The photograph does not depict the superior finish of the wheel.DOES NOT FIT vehicles equipped with upgraded or performance brakes such as Brembo.FITS: Ford® Mustang 1994 - 2004. REAR FITMENT ONLY. Fitment guaranteed for stock equipped vehicles only. 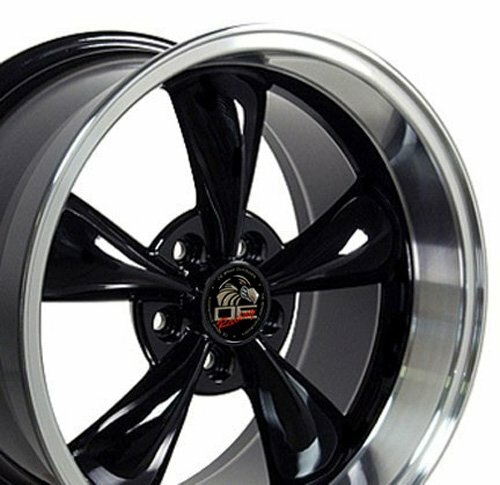 Black with a Fine Machined Lip: The finish on this wheel is achieved through several different phases. The finishing process includes a black powder coat foundation followed by two layers of clear coat, not a one stage enamel. This is the correct way to finish a wheel. The lip of the wheel is then precision machined using a coolant and ceramic bit. 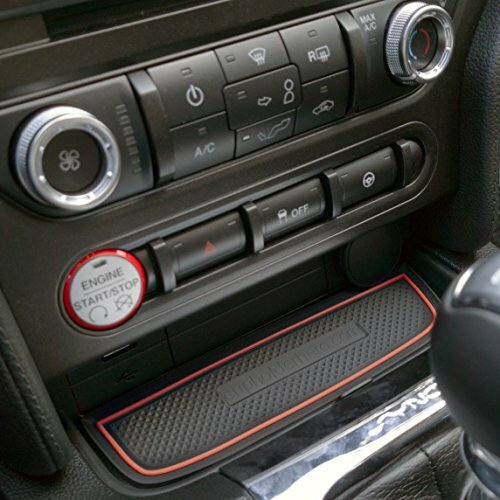 This method creates a fine machined aluminum appearance on the lip of the wheel. They have an absolutely beautiful finish with a superior sheen due to the additional layer of clear coat. The photograph does not depict the superior finish of the wheel.DOES NOT FIT vehicles equipped with upgraded or performance brakes such as Brembo.FITS: Ford® Mustang 1994 - 2004. REAR FITMENT ONLY. Fitment guaranteed for stock equipped vehicles only. 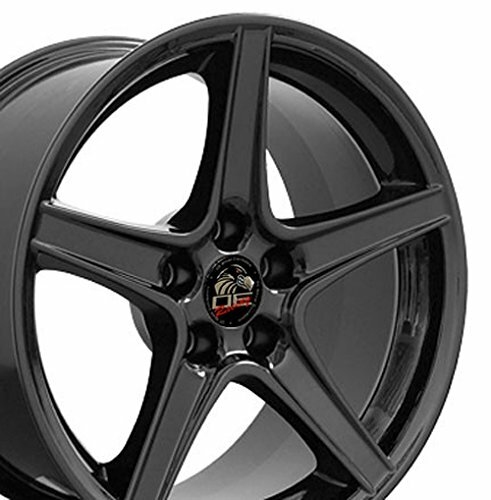 Black: The finish on this wheel is achieved through several different phases. The finishing process includes a black powder coat foundation followed by two layers of clear coat, not a one stage enamel. This is the correct way to finish a wheel. They have an absolutely beautiful finish with a superior sheen due to the additional layer of clear coat. The photograph does not depict the superior finish of the wheel.DOES NOT FIT vehicles equipped with upgraded or performance brakes such as Brembo.FITS: Ford® Mustang 1994 - 2004. REAR FITMENT ONLY. Fitment guaranteed for stock equipped vehicles only. 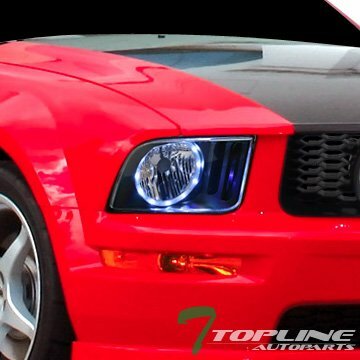 Compare prices on Rims Mustang at ShoppinGent.com – use promo codes and coupons for best offers and deals. Start smart buying with ShoppinGent.com right now and choose your golden price on every purchase.